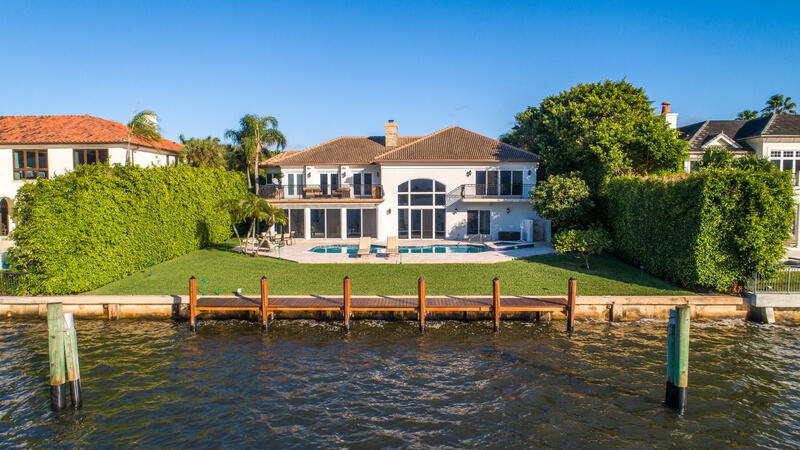 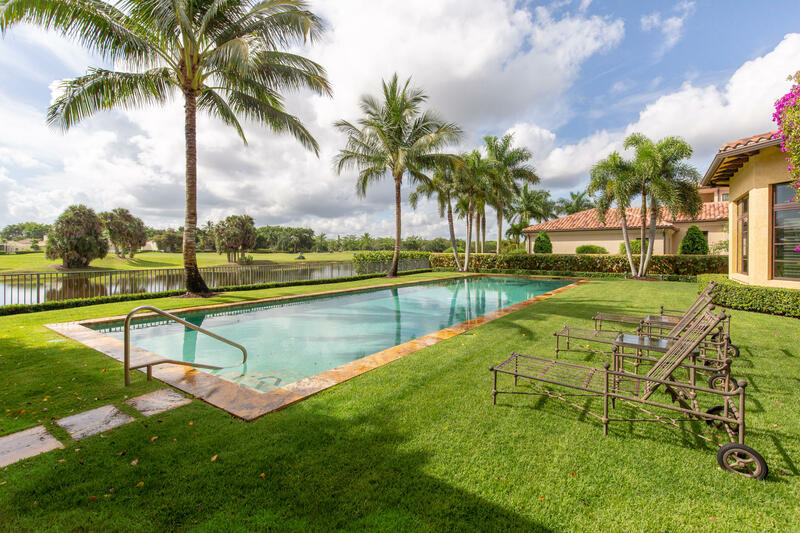 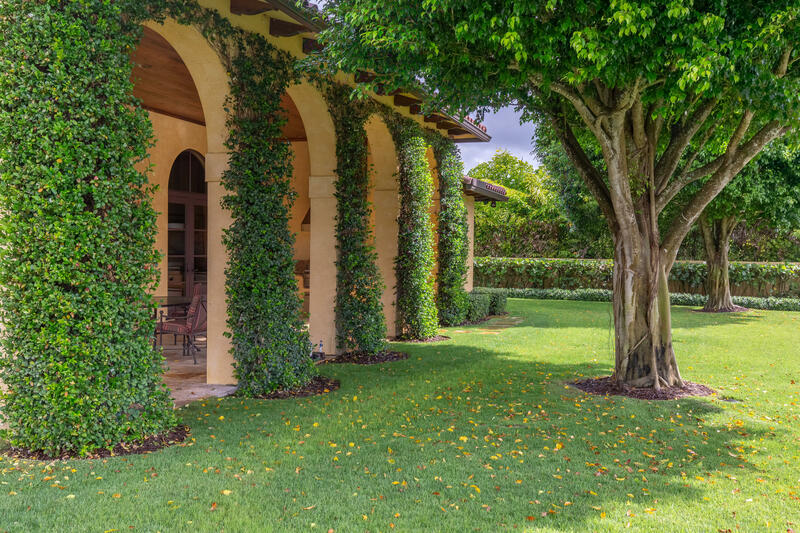 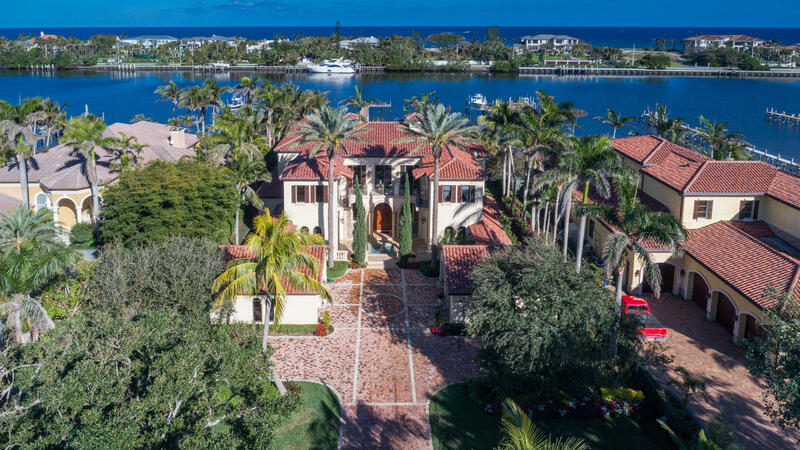 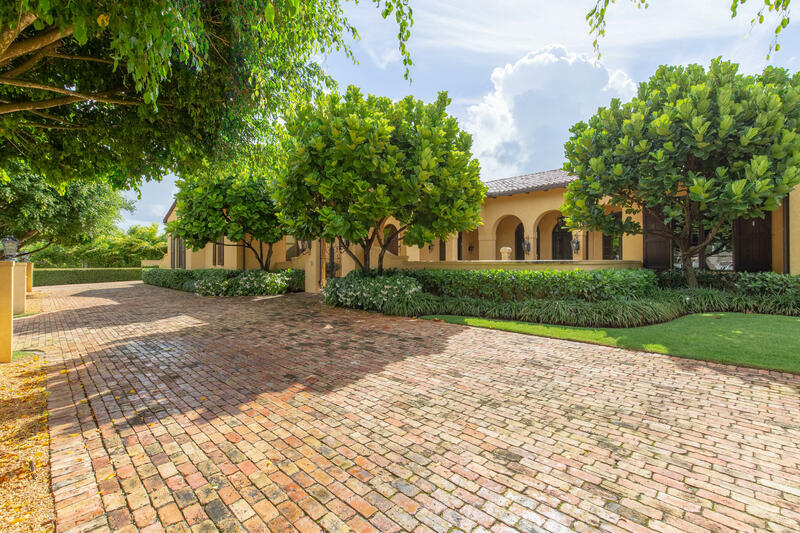 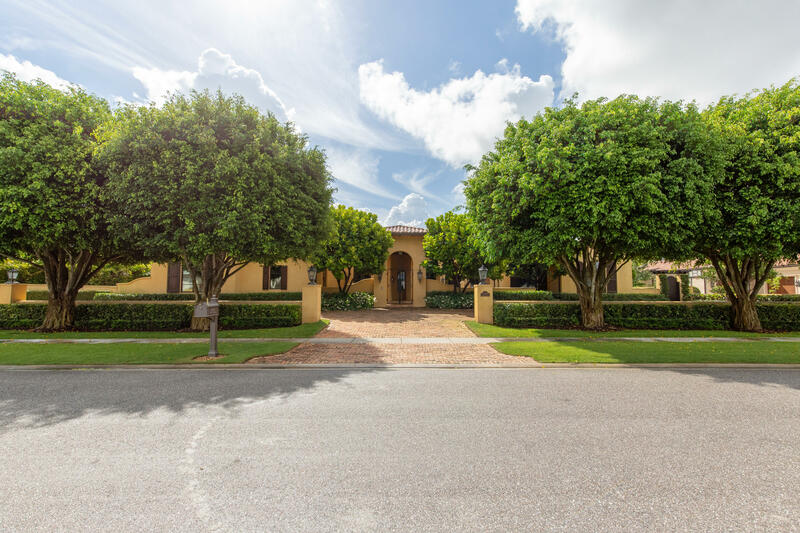 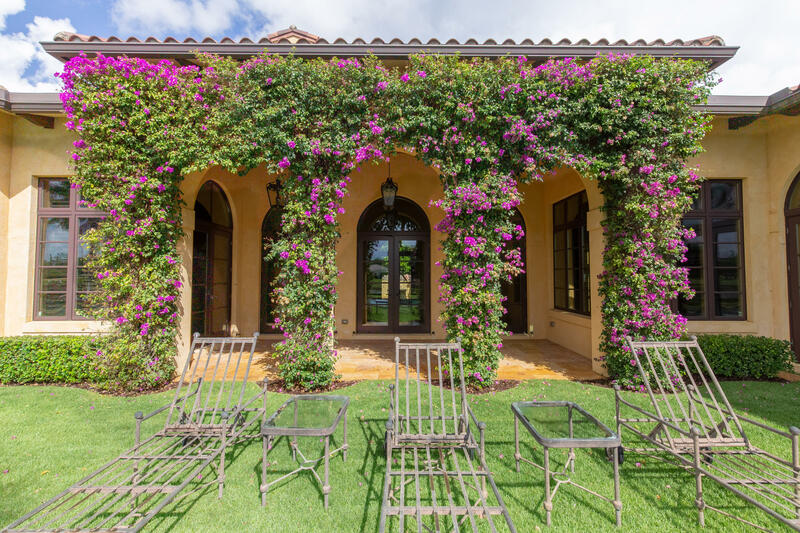 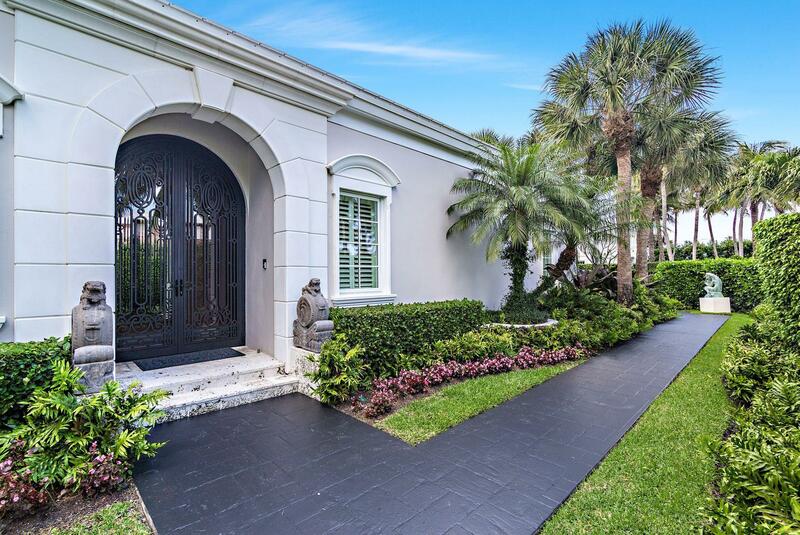 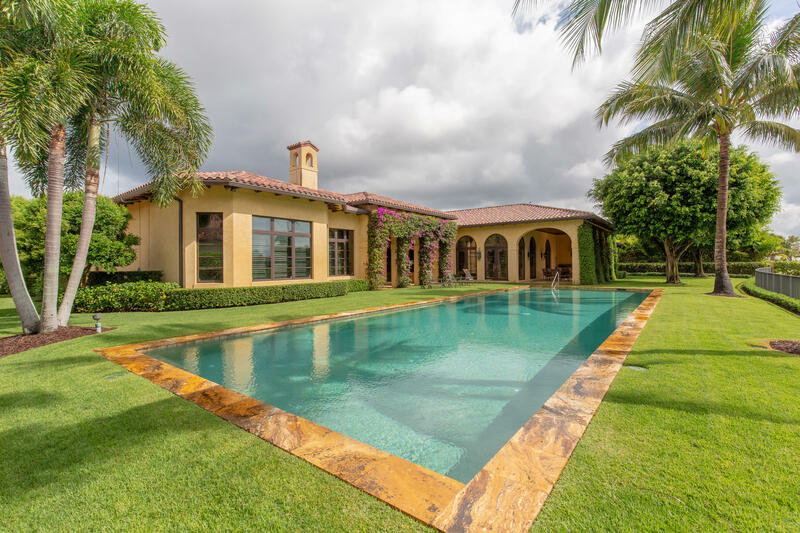 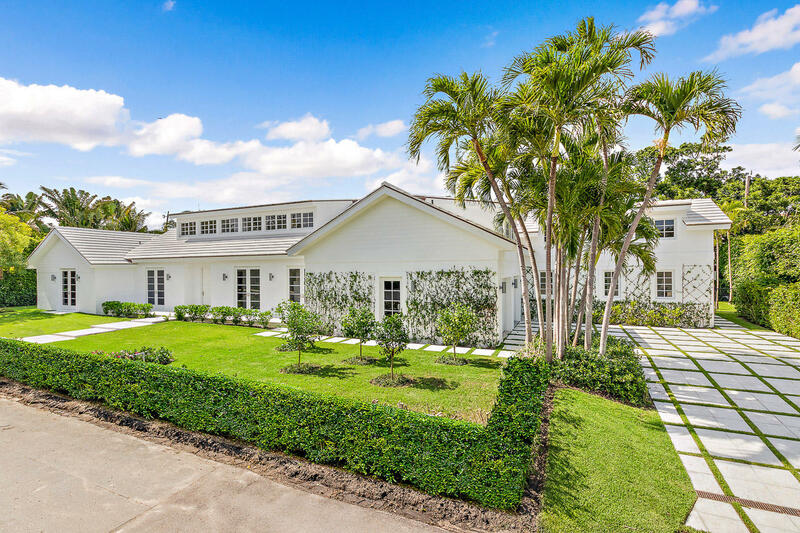 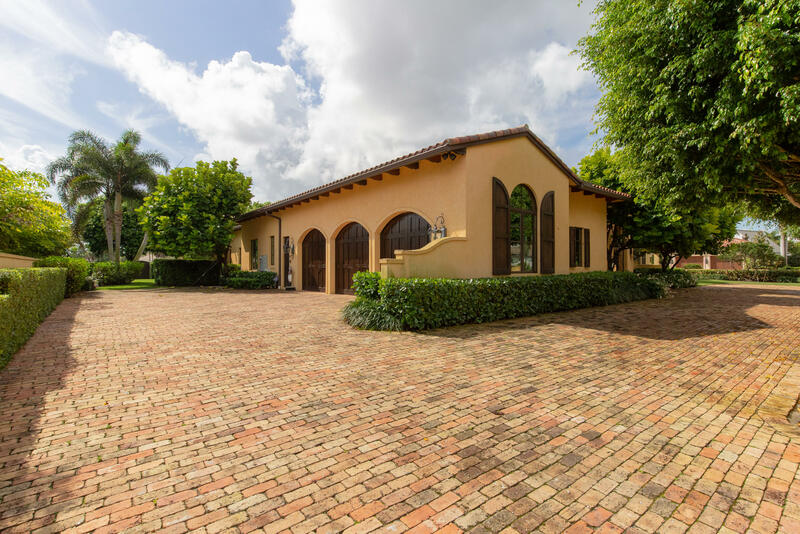 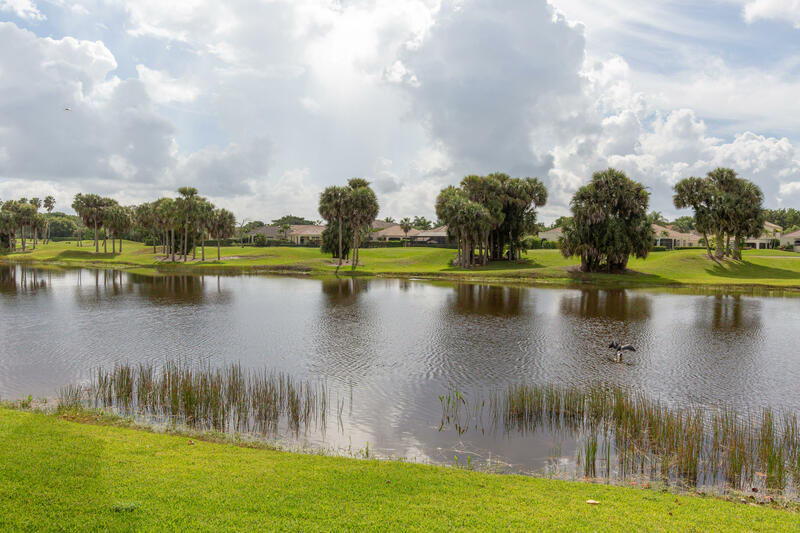 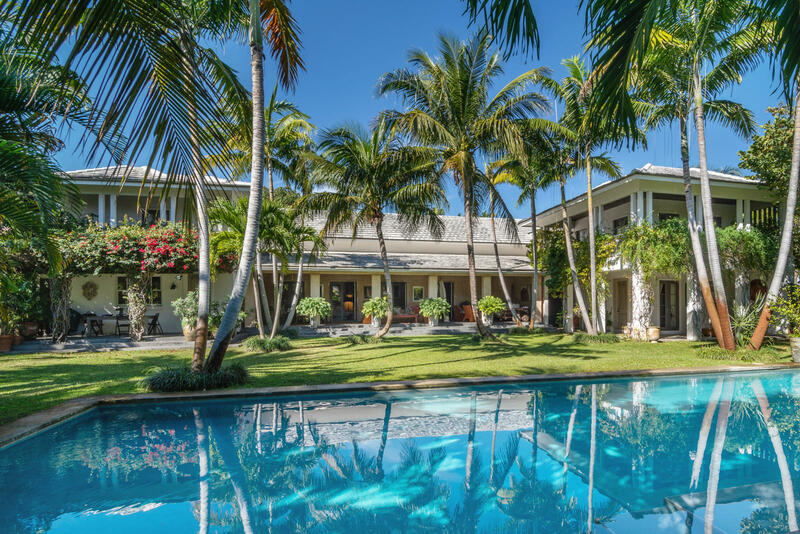 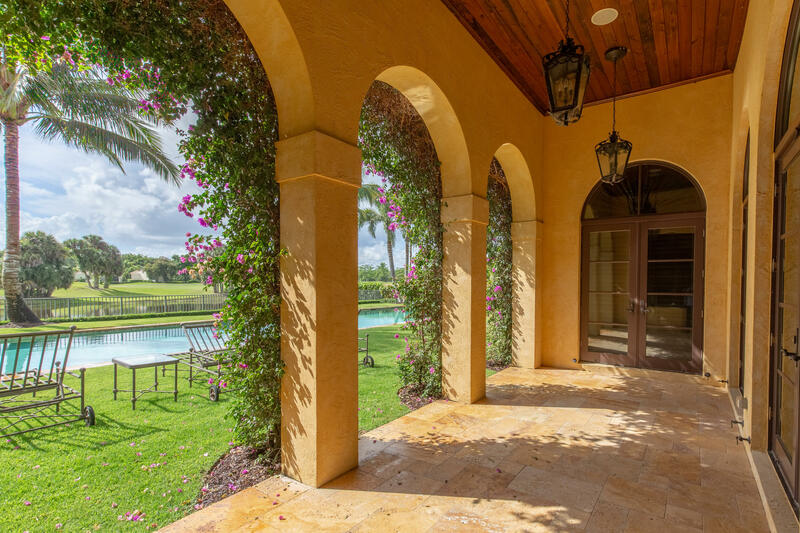 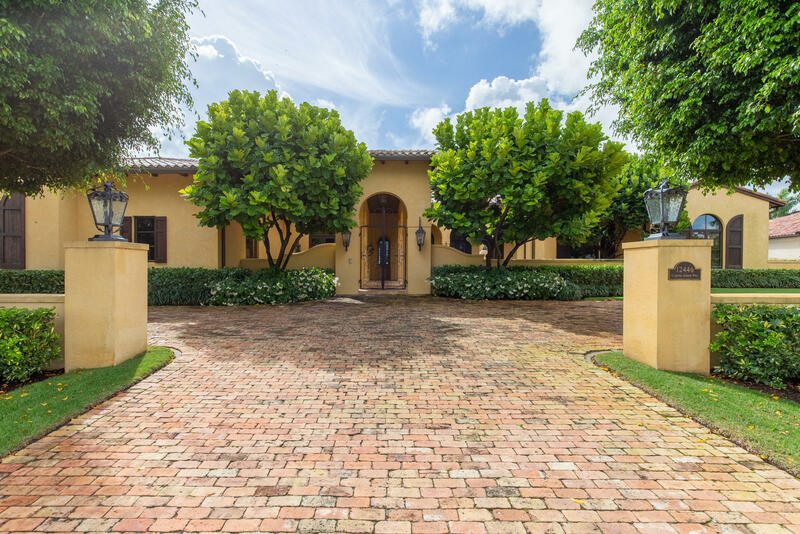 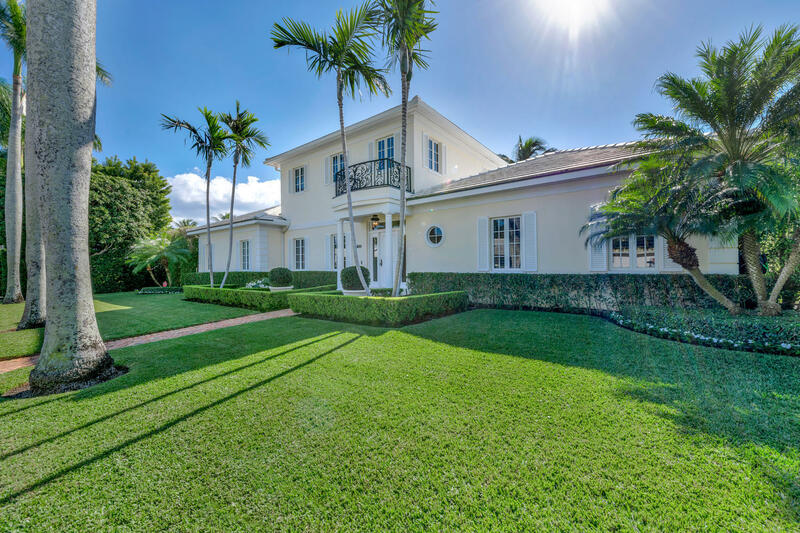 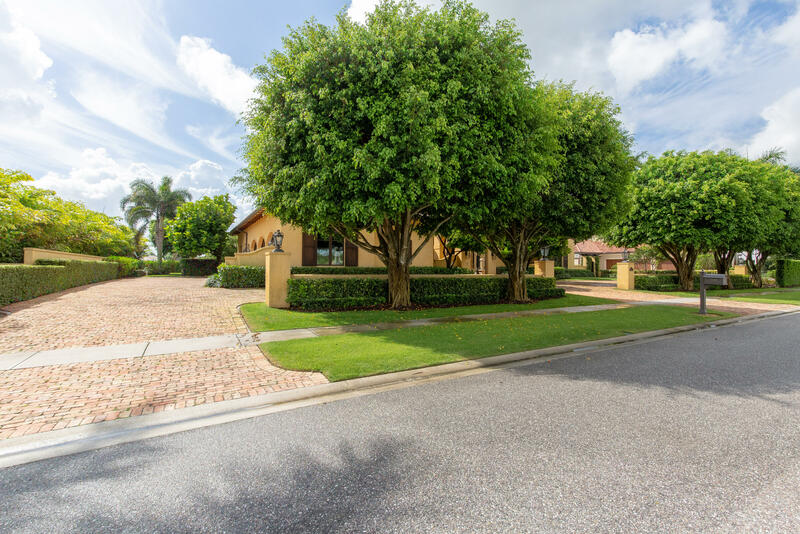 Elegant waterfront estate located in the exclusive Cypress Island of Palm Beach Polo, boasts 4 bedrooms, 6 and one half baths, 3 car garage and just under 6,000 square feet of living space. 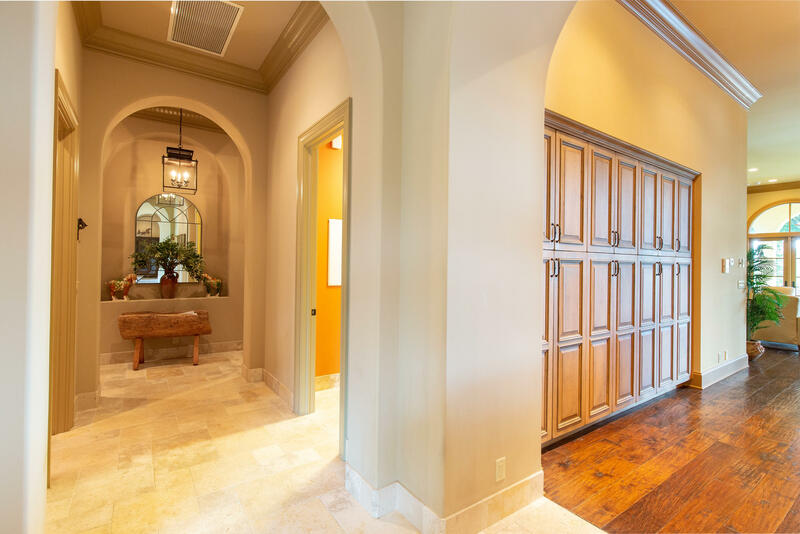 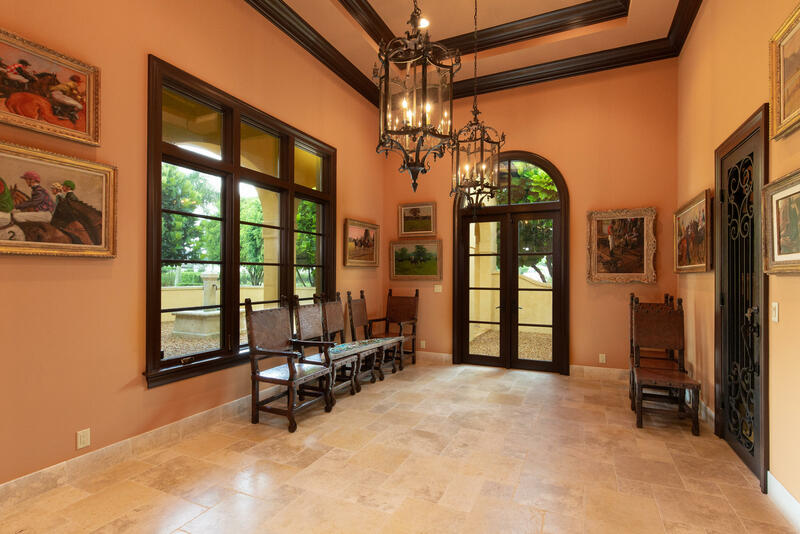 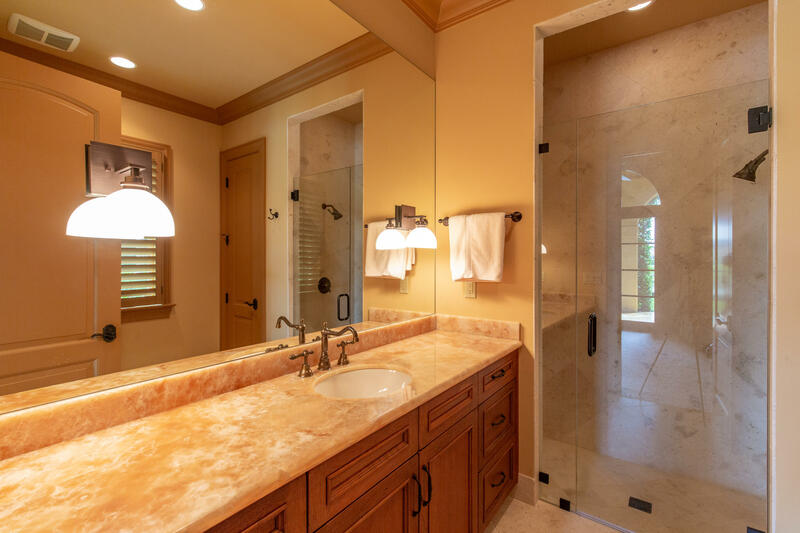 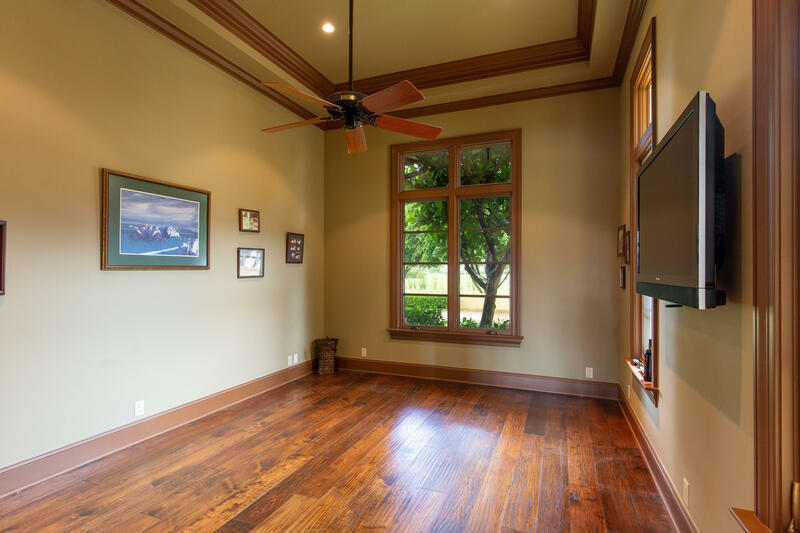 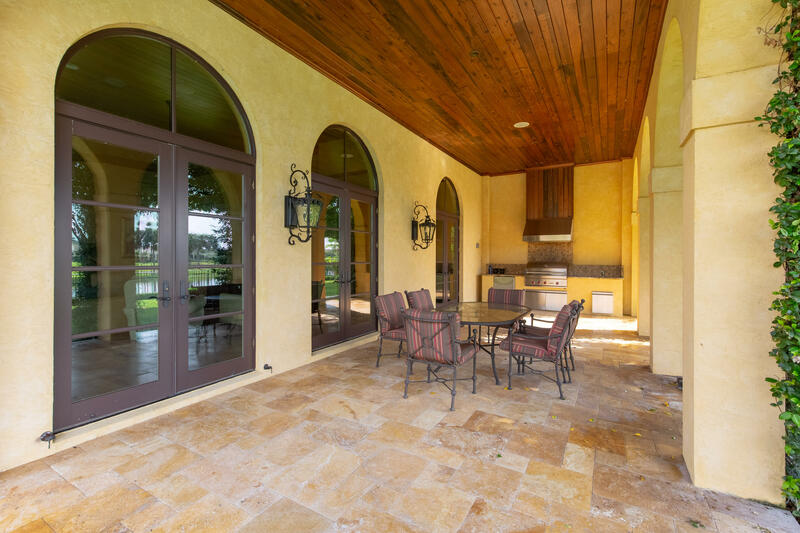 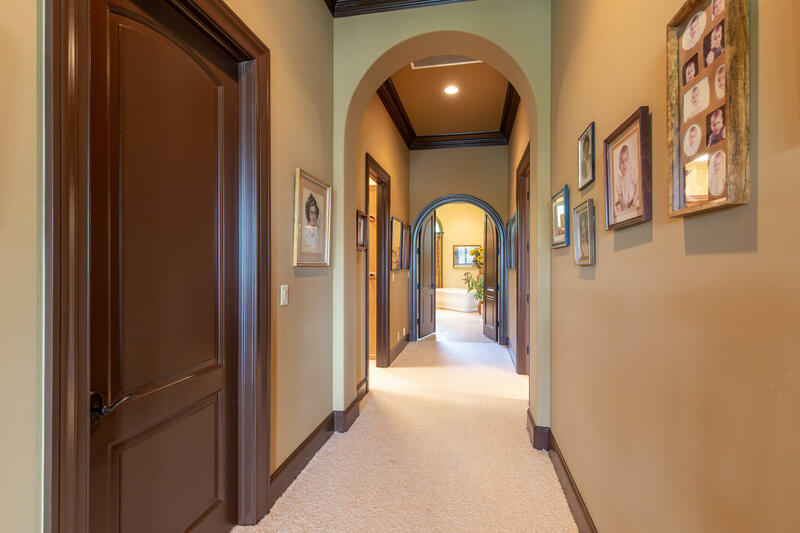 Reminiscent of a true Tuscan villa, this luxury home makes a grand impression with a courtyard entrance, soaring coffered ceilings, beautiful wide plank wood floors, and an abundance of natural light from large windows and French doors. 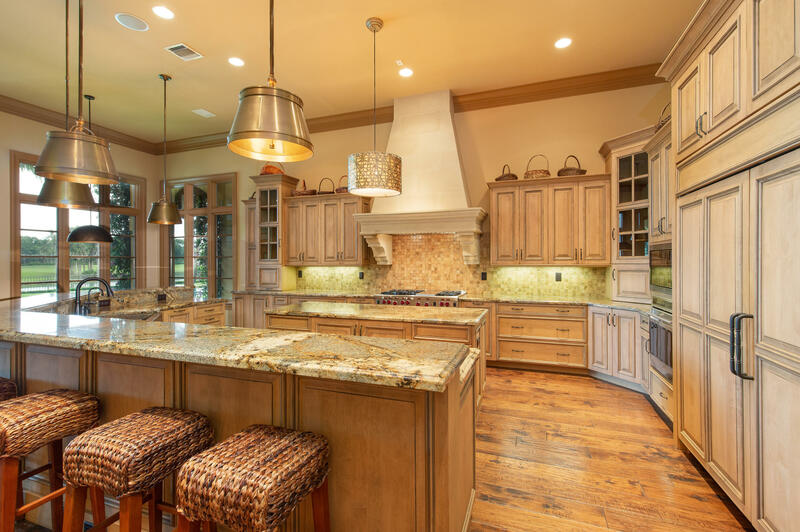 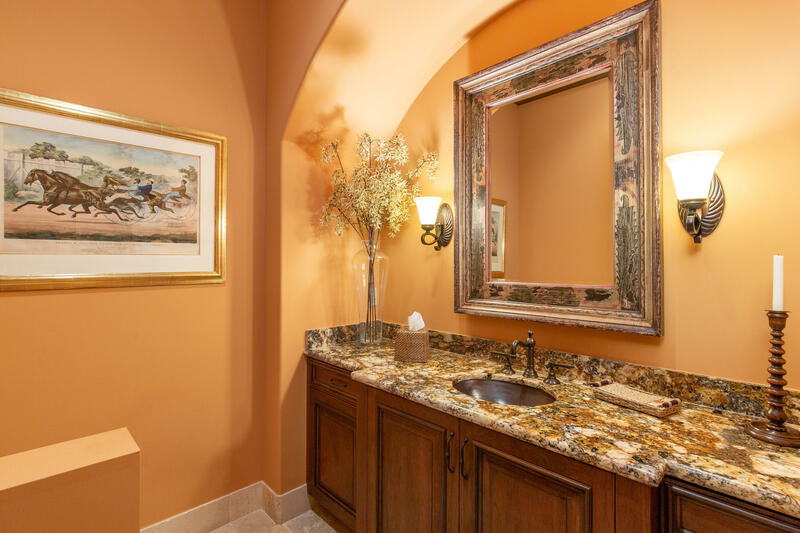 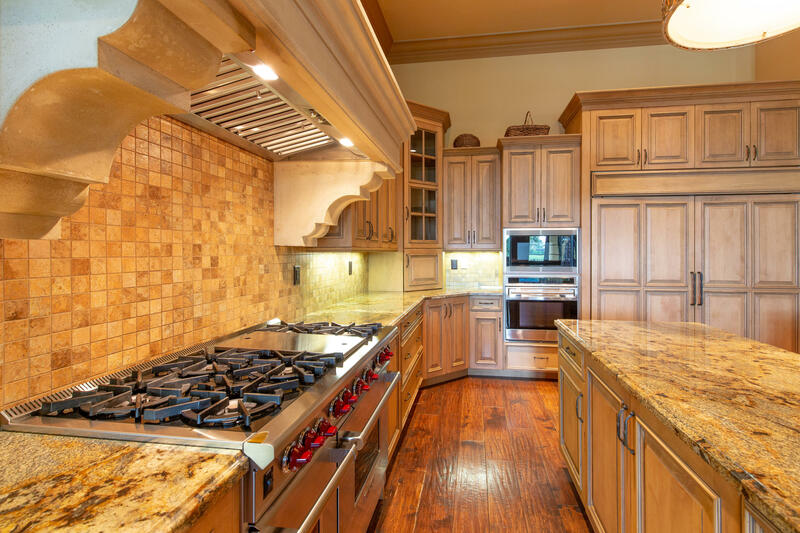 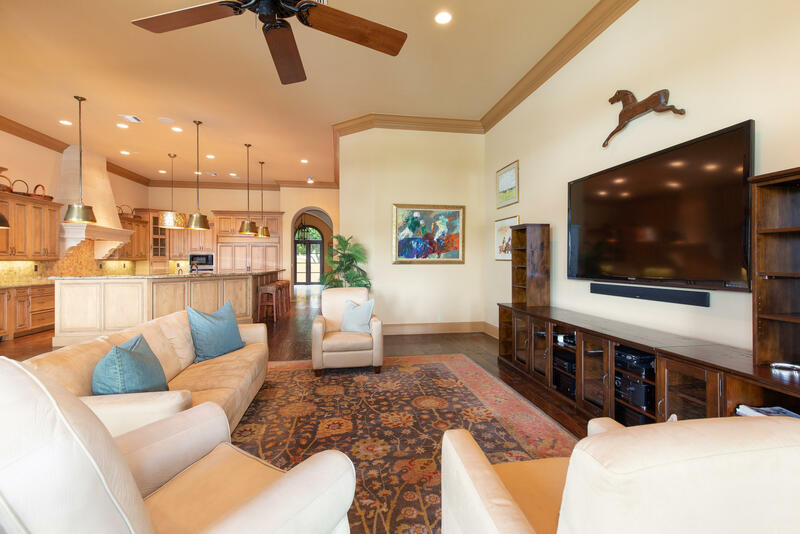 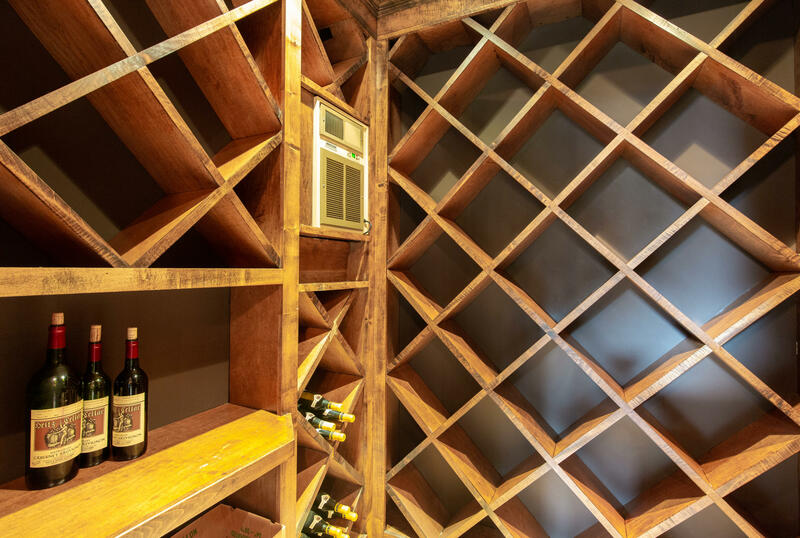 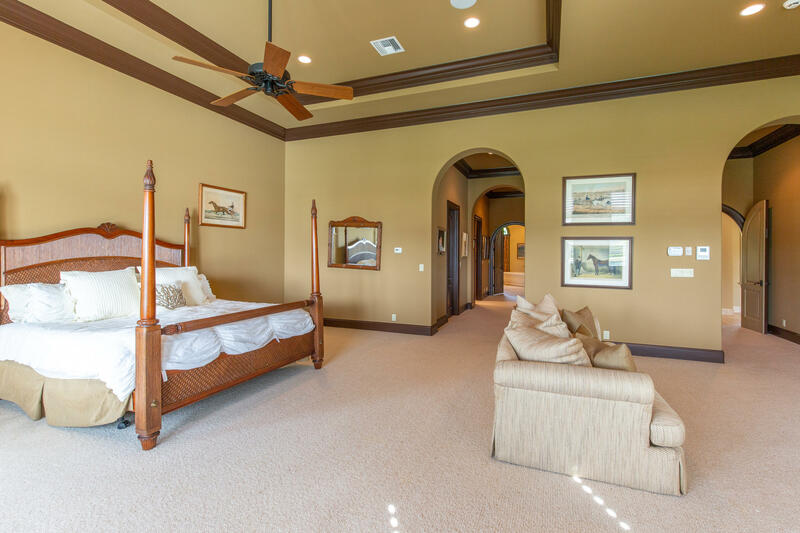 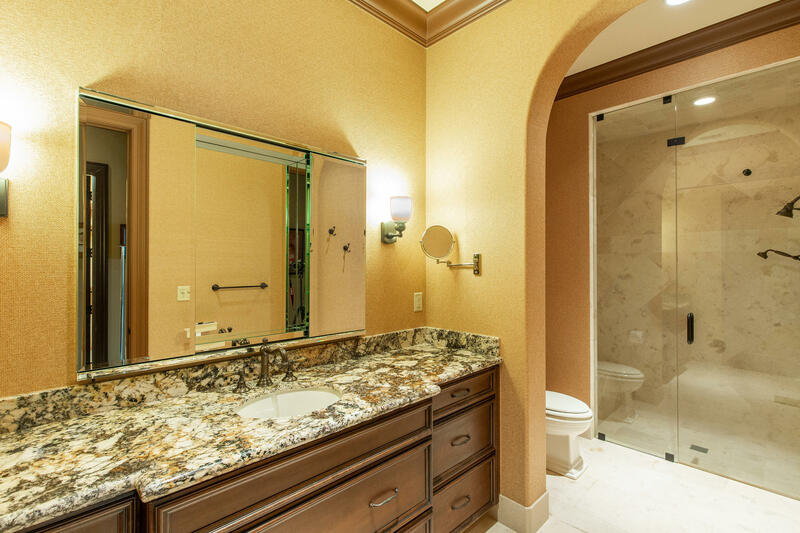 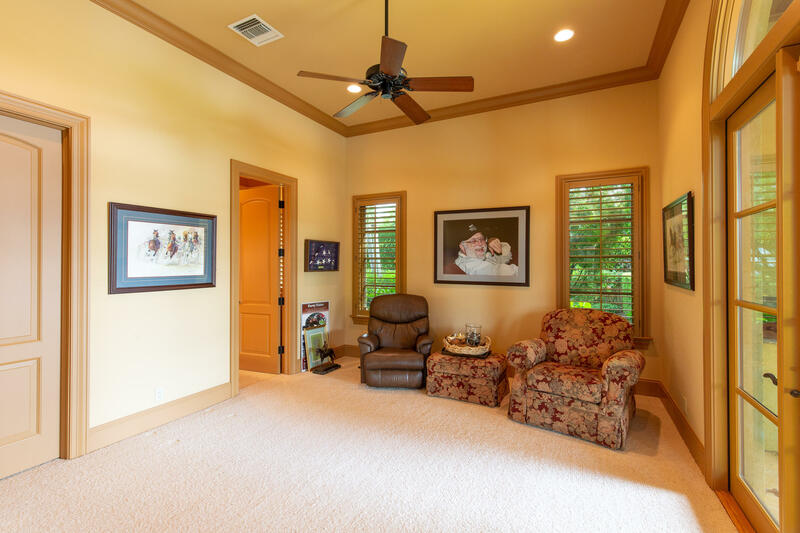 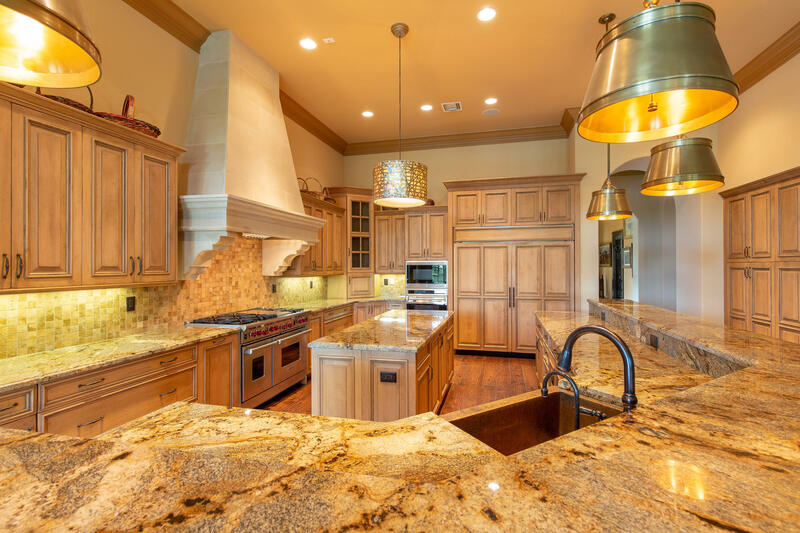 The open floor plan boasts a state-of-the-art chef’s kitchen, an airy dining room with attached rustic wine room, and a great room with a floor to ceiling stone fireplace and 3 sets of French doors leading out to the covered patio and pool area.